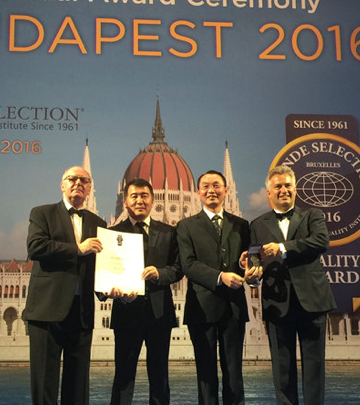 On 1 June, Infinitus (China) Company Ltd., member of LKK Health Products Group (LKKHPG), was granted the internationally renowned quality awards by Monde Selection in Portugal. Its product Beautrio Whitening Essence received Gold Award, and the Dried Tangerine Peel Pu'er Tea was honoured with Silver Award. 1,008 companies from 82 countries participated in the selection with over 2,700 products for this time. Finally, apart from Infinitus, Nestlé from Switzerland, Morning Food from the UK, It's Skin from Korea, and some other well-known global brands were also awarded. As an independent and international organization, the Monde Selection aims to test consumer goods from all over the world. And it is one of the most historic and authoritative third-party testing institutes in the world. Every year, the participating products are classified by product attributes and evaluated by the independent jury based on areas including safety, taste, health, raw materials and so on. The jury comprises over 70 professional engineers, nutrition and health consultants, Michelin starred chefs, brewing engineers, university lecturers, master sommeliers, and so on. All of them have abundant professional knowledge and experience in food manufacturing. Abiding by the stringent standards, the jury evaluate the products based on multi-dimensional criteria, including product safety, function and data, as well as the technical advance of the workmanship. 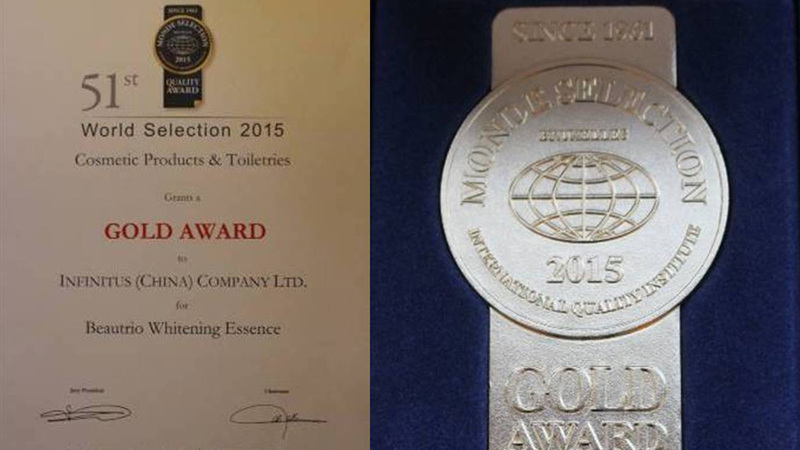 Therefore, it is widely recognised by the industry that these quality awards by Monde Selection embody the premium quality of the awarded products is acknowledged by different countries in the world and the awarded producers are granted with a quality "passport" to the world. Since its establishment, Infinitus has been devoted to providing high-quality traditional Chinese medicine (TCM) products and services to consumers for 23 years. Adhering to its quality vision "developing dependable and globally trusted products", Infinitus combines TCM theories, internationally advanced R&D concepts and modernized workmanship in its product manufacturing. In addition, it selects authentic premium herbal materials and implements stringent criteria in selecting materials and quality control system to safeguard the premium quality of products, helping the public moderate their immunity and live a healthy life. Infinitus is LKKHPG's core brand that specializes in R&D, production and sales of TCM health products. LKKHPG is a member of Lee Kum Kee Group, a century-old Hong Kong enterprise. Headquartered in Hong Kong, LKKHPG's businesses cover Chinese herbal plantation, R&D, production, sales and service of TCM health products, mobile internet platform, and real estate investment. Members of LKKHPG include Infinitus (China) Company Ltd., Infinitus (Hong Kong) Company Ltd., Infinitus International Company Ltd., Infinitus International (Malaysia) Sdn Bhd., Naturale (China) Pharma Co., Ltd, and HeHa Digital Health Ltd.